People are pretty used to a lot of vending machines, including the Redbox that rents out DVDs. 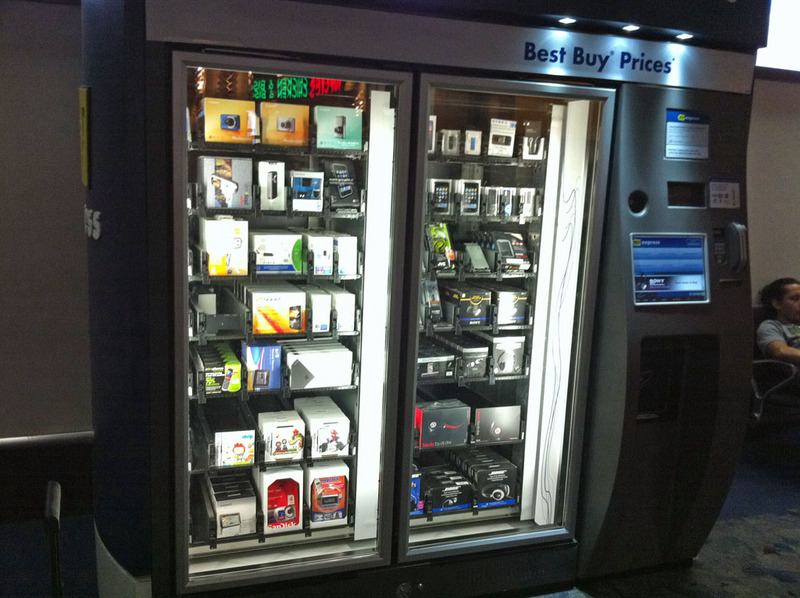 A new one I saw at the Las Vegas airport was a Best Buy vending machine chock full of nice gadgets, including iPhones, iTouch, digital cameras, chargers, headphones and other goodies. The day will come when the vending machine is all we’ll see and retail stores will no longer exist.